Allsorts is a registered provider of out of school care for children aged four and over. We are based in Dornoch, our home is in the Canteen of Dornoch Academy which is close to our enchanted forest. 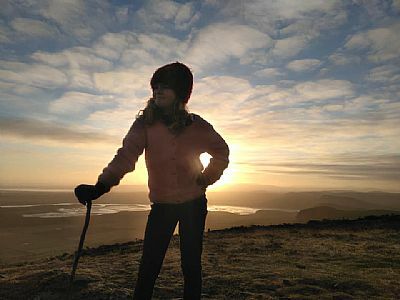 Allsorts runs an afterschool club for children attending school in Dornoch, and in the holidays we run Puddle Jumpers in partnership with Highlife Highland - providing all day holiday care for children from many of the schools around the Dornoch Firth area. Allsorts is run by a volunteer board of directors and part time members of staff. There are still vacancies for board members if interested, please get in touch. In the club, Manager Carla Gallon very capably oversees our fantatic team. Playworkers Lauren Mackay, Martin Mackenzie and Jade Buchanan are in charge of the day to day running of the club, each bringing a bit of themselves to our programme of play. Our holiday programme Puddle Jumpers is created and delivered by staff who make it a fun and enjoyable experiance during the holidays. 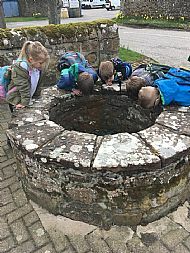 Our ethos of providing creative, imaginative and challenging play experiences - outside where possible, and largely focussing on culture and heritage is based on our observations about how well children learn and engage when they are at play. Allsorts in well loved by the children that attend, and well appreciated by that parents that use our service - feedback from child and parent surveys has been positive and constructive, and as a community run we use this feedback to shape the service as we go on. In June 2015 The Commission for Childcare Reform featured us in their final report as a case study - focussing on innovations such as the lift to and from Tain and the partnership working that Allsorts has undertaken in order to thrive. In September 2012, Dornoch Allsorts After School Club received a Commendation from Tam Baillie, Scotland's Commissioner for Children & Young People at the Nancy Ovens Awards for Play. The club was commended for its "community partnership approach to creating opportunities for children to have great fun and free play experiences in the outdoors". Allsorts is registered with The Care Inspectorate (registration CS2003008589) to care for 24 children aged 4-15 years. To book, or find out about a visit to the club contact us on the Allsorts Mobile - 07900 24 74 54.